Pizza Hut Corporate Office in Vienna VA as the name suggests is known specially for its pizzas. This is a restaurant business and is reported to offer various types of pizzas to the customers. Having been in this business for over 50 years the firm also serves catering purpose when called for in special occasions and ceremonies. Besides this services the other food items include pastas, snacks and other dishes in their menu. 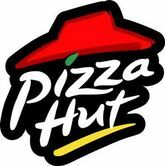 There are currently 1 consumer reviews about Pizza Hut available. Share your review.